[Updated 9/20/17 4:57 p.m. See below.] Following a series of setbacks late last year, Arrowhead Pharmaceuticals, one of the companies trying to develop drugs using RNA interference, has come up with a plan to try to bounce back. But to do so, it’ll have to prove it can safely and effectively deliver an RNAi therapeutic to the liver—and perhaps elsewhere, too. The effort will face its share of skeptics, because Arrowhead is not just coming off a stinging setback, but is also touting an ability to do something no other company has successfully done—deliver RNAi drugs somewhere other than the liver without causing unintended problems. RNAi is a method of drug-making that involves shutting down, or “silencing” a gene before it can make a potentially harmful protein. The technology was first discovered in 1999 and led to a Nobel prize in 2006. But various clinical setbacks and technological ups and downs have caused large pharmaceutical companies to fall in and out of love with RNAi. Only now might RNAi finally be on the verge of breaking through, if a drug from Alnylam Pharmaceuticals (NASDAQ: ALNY) called patisiran succeeds in a Phase 3 trial—results are expected any day. One of the reasons Alnylam has gotten so close to the finish line has been that significant progress has been made over the past several years safely and effectively delivering large RNA molecules into the body—particularly the liver, which can absorb the big molecules from the blood. Delivering RNAi drugs elsewhere safely and effectively has proven problematic, but Arrowhead, which had to scrap its only drugs in clinical testing last year, has made “huge progress” in doing so, says Chris Anzalone, the company’s president and CEO. In November, Arrowhead halted work on three experimental RNAi drugs for liver diseases. 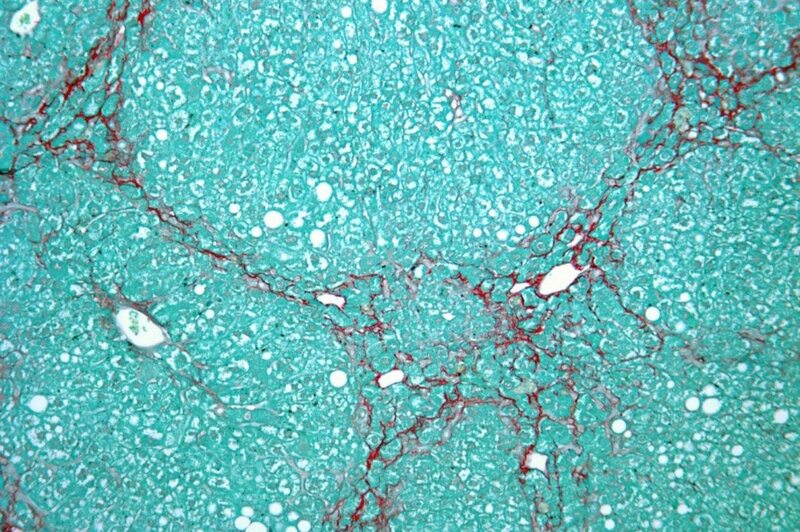 The FDA was concerned that, based on some worrisome signs in preclinical studies, the drug delivery system Arrowhead was using, named EX1, might cause liver problems in humans. The agency suspended testing of Arrowhead’s most advanced therapy, for hepatitis B. Arrowhead responded by scrapping all the experimental drugs, axing 30 percent of its workers (including chief scientific officer David Lewis) and completely changing its strategy. In an interview with Xconomy, Anzalone says it would have been too difficult, and taken too much time, for Arrowhead to convince regulators it was safe enough to continue testing those therapies in humans. “At the end of the day, we thought that was just too high a hurdle and an unacceptable risk,” Anzalone says. Arrowhead plans to go after some of the same diseases—chronic HBV, and rare liver diseases resulting from alpha-1 antitrypsin (AAT) deficiency—that it was previously. But Anzalone says the new drug candidates, using TRiM, target different RNA sequences and are “totally separate” from the candidates the company had been developing previously for the same diseases. Additionally, the company also aims to use TRiM to zero in on gene targets in the lung, though Anzalone didn’t detail which ones specifically yet. “I view that as a franchise unto itself,” he says. Separately, Arrowhead is working with Thousand, Oaks, CA-based Amgen (NASDAQ: AMGN) to develop two RNAi drugs for cardiovascular disease. According to a company spokesperson, Arrowhead currently has about 95 employees. About 75 of them are based in Wisconsin, the spokesperson said. On Thursday, when Arrowhead (NASDAQ: ARWR) presented new details on its TRiM platform, the company’s stock price finished the day at $2.79 a share, down nearly 21 percent from the previous day’s close. However, Arrowhead’s stock rallied on Friday and was trading at $3.21 a share as of 3:42 p.m. in New York on Tuesday. Arrowhead’s market capitalization is currently about $239 million.